This hasn’t stopped celebrities—like Kim Kardashian, The Weeknd, and Gwen Stefani—from flocking to the platform and using it to its full potential. And they’re doing it better than most brands. 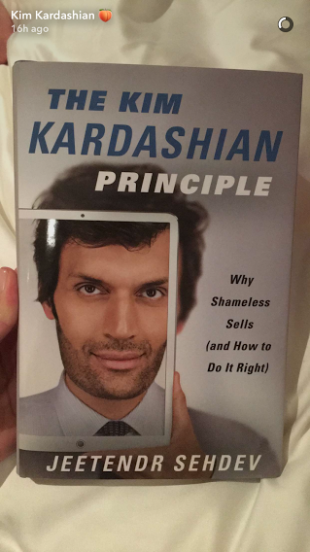 Continue reading to discover how celebrities have unlocked Snapchat in ways your business can learn from. Own up to any mistakes (i.e. if one of your Snapchat videos has a spelling error in the text, poke fun at it in a following video). Don’t try too hard to be cool if it doesn’t fit in with your brand voice or industry. Have a sense of humor and be vulnerable. Throw that ego to the wind. For more on establishing a genuine personality on social media, check out our post Keeping it Real: How to Build an Authentic Voice on Social. 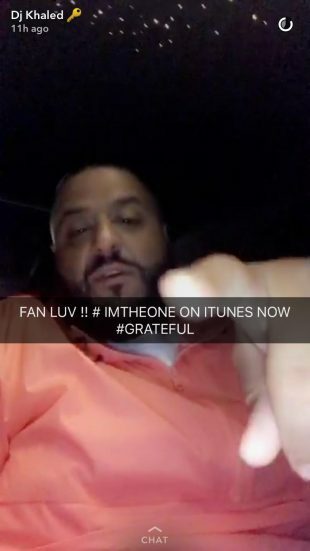 Celebrities often use Snapchat to celebrate their fans and support staff. Musician The Weeknd features his backstage crew and tour bus workers, sending them shout-outs and highlighting their hard work. He also makes a point to include and thank fans in his Snapchat Stories. He will even share his favorite Snaps from fans with the Memories feature. Image via DJ Khaled’s Snapchat Story. How-to videos are among the most popular searches on YouTube, with North Americans watching over 100 million hours of these in 2015. Celebrities know that audiences find this kind of content valuable and use Snapchat to share instructional videos of their own. Model, TV personality, and author Chrissy Teigen has used Snapchat Stories to share step-by-step directions for recipes to promote her cookbook. Pretty Little Liars actress Shay Mitchell also knows the value of how-to content, and often shares steps for achieving her hair and makeup looks. Understand where your expertise lies and how that can translate into actionable steps. For example, if your business sells hair products, you can share five tips for getting the perfect blowout in your Snapchat Story. Show off your products—this can be as simple as a quick guide to how to use a particular feature. Feature your employees and their unique skills—for example, if Dave in finance is really good at decorating cakes, shoot a Snapchat Story with him sharing a step-by-step guide to decorating a cake. Not only are you sharing an interesting skill with your audience, you’re also giving them a peek behind-the-scenes. One of Snapchat’s best qualities is the feeling of intimacy it creates between users. Celebrities use this when they share behind-the-scenes content and exclusive sneak-peeks. Celebrities are pros at highlighting what sets them apart. From the moment they achieve an inkling of fame, those in the spotlight are required to create and constantly define their brand—always with their fans in mind. For example, the general public loves to criticize Kim Kardashian for being “famous for being famous,” but her shameless self-promotion, famous friends, style-icon and selfie-queen status have done nothing but work in her favor. Image via Kim Kardashian’s Snapchat Story. Think about your goals. What do you hope to achieve with each piece of content? Whether you’re looking to drive brand awareness or generate leads, you need to have goals in mind. Determine what makes you different. How do your brand, product, and services stand out from the crowd? 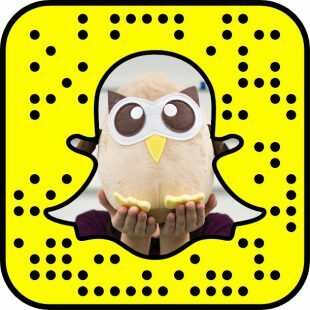 Focus on these unique characteristics and make them a part of your Snapchat strategy. Consider your audience. Who are you looking to reach with your content? Why should they care? What are you going to do to help them? As a short-form video platform, Snapchat is the perfect place for storytelling. Celebrities know that if they use a proven storytelling structure—with a beginning, middle, and end—they can provide interesting content for their audience. Musician and The Voice judge Gwen Stefani often uses storytelling in her Snapchat Stories documenting what happens over the course of a day filming the show. She also uses Snapchat to share events that took place with her contestants, as well as in her personal life with her kids. Mix in B-roll footage to break up your story. Some neutral shots like scenery, texture, or a solid color can help add visual interest. To learn more about creating compelling content, check out our Guide to Crafting the Perfect Snapchat Story.